Like new residential roofing, a siding replacement can transform your entire home. It can boost your curb appeal, increase the market value of your home and improve energy efficiency all at the same time. Here’s a look at the most popular siding materials that homeowners are currently in love with. Aluminum siding is not high-maintenance, which is a quality that new homeowners just can’t resist. Steel is also gaining spotlight for its low cost. These two options come in a wide variety of styles, including shingles and vertical and horizontal panels. Metal siding is known for its durability, and it usually comes with factory-applied coating to fight against corrosion. Touted as the most attractive siding material, wood definitely has a place on this list. Wood siding comes in a range of textures, styles, and finishes. It is relatively easy to repair, but a bit difficult to install over existing siding. It has a charm that draws affluent clients, as you can often spot it in luxury and historic homes. Just keep in mind that you might have to call your siding and roofing contractor frequently for upkeep. The next low-cost siding material to come after metal is vinyl. Vinyl siding offers an assortment of styles for every type of homeowner, including a wood design. It is low-maintenance and never needs to be repainted because the color is solid through the material. However, it can be prone to crack in cold weather if subjected to impact. 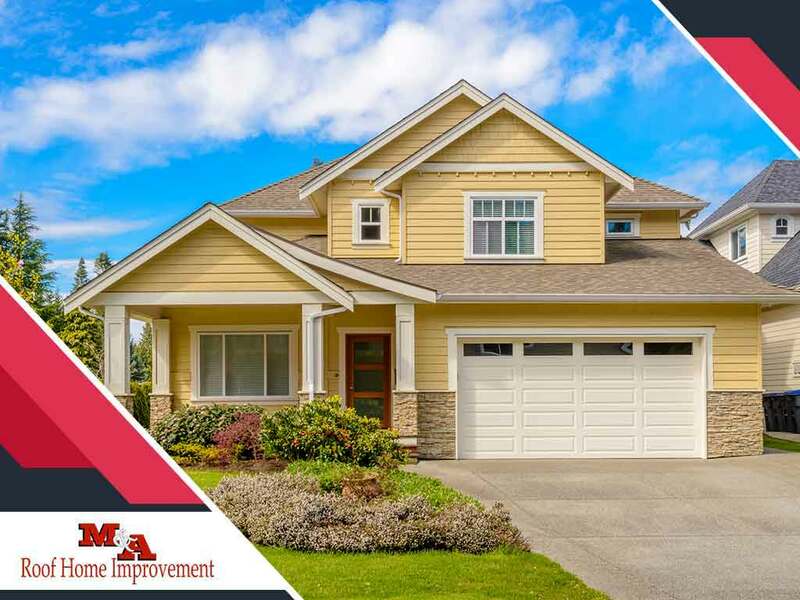 M and A Exterior Home Improvement provides siding installation services you can rely on. We also offer roof repair and replacement. Let us help you find the right material to provide the curb appeal, protection and energy efficiency that your home needs. Call us today at (757) 942-2700 or fill out our contact form. We service clients in Virginia Beach, VA, and surrounding areas.